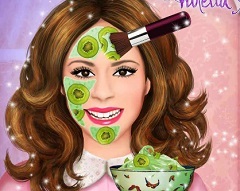 We thought that it is the right moment to offer you this new game with Violetta, a very beautiful and funny adventure and skill game in which you get to see how she acts behind stage. Not every day to get to see your favourite character besides stage and of course, not every day you get to help them. 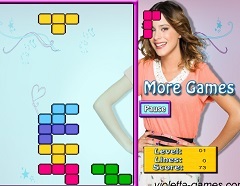 In this new game that we have to offer you have to help Violetta and the other characters from the series like Leon, Thomas and Ludmilla prepare for the show. They will all be in the star room where they will be in need of something and you have to take care that they get what they want. If they don not get what they need, they will get angry and this will get you to loose point and eventually the game. In order to please your friends you have to pay attention at what they need and offer it to them. 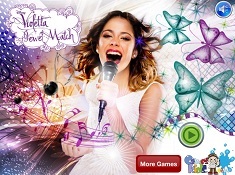 The game has several stages and we invite you to play it and try to go through all of them. 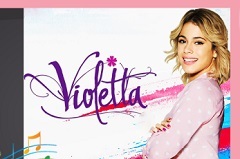 Have fun with your favourite characters from Violetta!